The email that goes out to anyone you assign a task to or include on a post will display your name, the name of the project, and a preview of the post. The recipient can click a link to see the full post on Fieldlens. 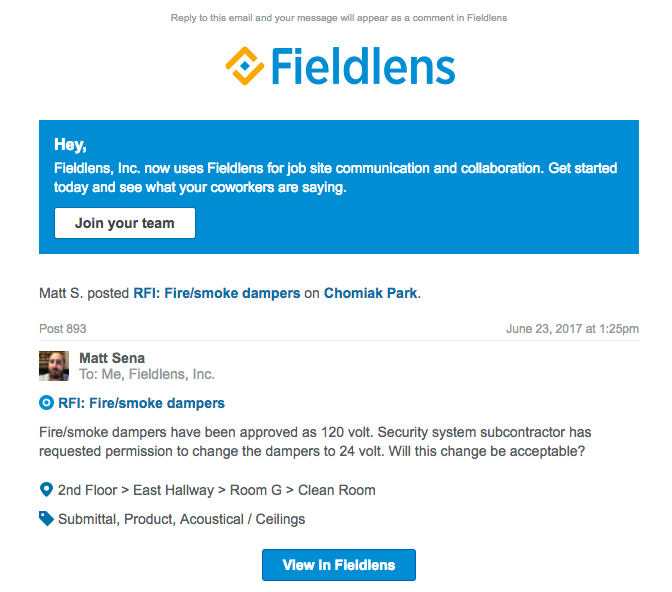 Recipients can respond to the email directly, and their response - along with any attachments they include - will post back to Fieldlens. They will also have the option to sign up for a Fieldlens account.